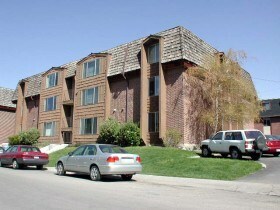 The East Cambridge Condominiums are located at 765 E 750 N. The Middle Cambridge Condominiums are located at 737 E 750 N. The West Cambridge Condominiums are located at 788 E 750 N Provo, UT 84606. The Cambridge Condos – Provo Utah are BYU Approved for Male and Female. Please verify the current BYU approval status of any condo you purchase. The Cambridge Condos are built in 1984 and have 36 units. Historically these condos have been FHA approved. Who is Buying the BYU Approved Condos? Many condos in Provo UT near BYU are sold to out-of-state buyers. Once a student has been accepted to BYU many parents consider the option of buying a condo. The parents like the idea of having their son or daughter manage the condo. This gives the student the option of picking their roomates, collecting rents and managing the property. The parents often benefit from price appreciation and other students paying the mortgage. Many investors benefit buy owning a condo by getting a tax shelter. If selling your condo on your own is too mind-boggling and time consuming, find a good real estate agent to sell your home for you. A good agent will work overtime to help you sell your home. If you need assistance with a sale or rental transaction, www.BuyProvoCondos.com has a team of condo specialists working at Team Teasdale Realty which are licensed real estate professionals that can assist you with all of your condo needs. Considering hiring Paul Teasdale with Team Teasdale Realty. Paul will help you prepare a list of condos for sale in Provo UT. He will show you the condos of your choice, listen to your needs. Paul will help you negotiate a great deal on a condo in Provo. Paul has been selling condos full time in Provo UT since 1995.